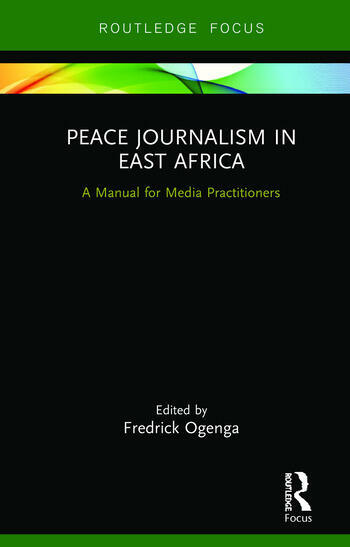 This concise edited collection explores the practice of Peace Journalism in East Africa, focusing specifically on the unique political and economic contexts of Uganda and Kenya. The book offers a refreshing path towards transformative journalism in East Africa through imbibing pan-African institutional methodological approaches and African philosophies of Utu (humanity), Umoja (unity) and Harambee (collective responsibility) as news values. Contributions from key academics demonstrate how media practices that are supportive of peace can prevent the escalation of conflict and promote its non-violent resolution. The chapters cumulatively represent a rich repertoire of experiences and cases that skillfully tell the story of the connections between media and peacebuilding in East Africa while also avoiding romanticizing Peace Journalism as an end to itself or using it as an excuse for censorship. This cutting-edge research book is a valuable resource for academics in journalism, media studies, communication, peace and conflict studies, and sociology. Media and Peace in Kenya: Do Journalists Need Different Skills? Fredrick Ogenga is an Associate Professor of Communication and Media Studies, the Founding Director, Center for Media, Democracy, Peace & Security, Rongo University and President of the Peacemaker Corps Foundation Kenya. Ogenga is championing a pan-African journalistic institutional approach for conflict prevention and peacebuilding.